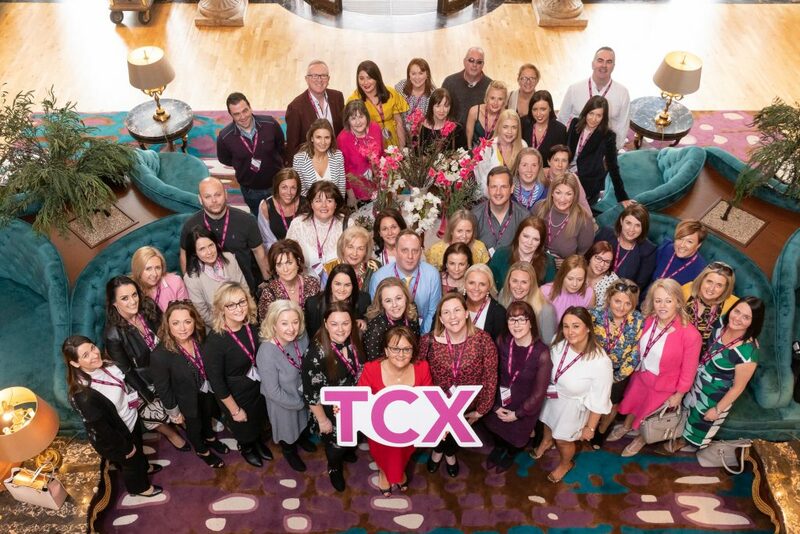 Disability rights advocate Sinéad Burke was keynote speaker for Travel Counsellors’ annual national conference, with the 2019 event themed TCX – Travel Counsellors Experience. Over 175 travel professionals attended the 5-star Powerscourt Hotel Resort and Spa, Wicklow from 4 – 5 April, with the focus of the two-day conference on the experiences Travel Counsellors provide to their customers. In her powerful keynote, Sinéad Burke spoke about her career journey to date, from Ted Talks to the fashion industry along with outlining to attendees the need for more accessible travel. Further speakers included Steve Byrne, CEO at Travel Counsellors on the vision of the leading travel company, while Waseem Haq, Digital and Innovation Director spoke about new marketing and digital developments. Jim Eastwood, Director of Sales outlined the importance of DMCs to enhance the customer experience; Michael Vincent, Head of Talent and Learning presented on the tools available to build Travel Counsellors’ personal and business development; and Richard Thompson, accessible travel expert, spoke about the commercial side of accessible travel. Networking opportunities and exhibitions with trade partners and suppliers took place across the two days, strengthening Travel Counsellors’ product knowledge and building effective relationships. The event sponsors included sponsors Turkish Airlines, Rental Cars, and Travelport; along with Blue Insurance, Celebrity Cruises, A Tent with a View, MSC Cruise, Melia Hotels International, Holland America Line, Qatar Airways, United Airlines and Air Canada. The event culminated with a black-tie gala dinner and awards ceremony, celebrating the achievements of TC business partners and individual Travel Counsellors. Scooping the top award was Cork Travel Counsellor, Sarah McCarthy who was named Best Travel Counsellor for the tenth year in a row. Meath-based Mandy Walsh took home the awards for Best Use of the My TC App and Most Helpful TC. Cork’s Mary Foyle was awarded for Top DMC Sales, while Westmeath based Sinéad Lonergan took home the award for Top Cruise Sales. Catherine Maguire, of Thurles, scooped the Best Business Increase award; Westport native, Emer McDermott was named Best Corporate; and Dublin based Gina Quinn won Best Newcomer. Second Year – Top Sales went to Jamie Thomas and Third Year – Top Sales was awarded to Simon Armstrong, both based in Dublin. Business Partner of the Year 2019 was awarded to Turkish Airlines, while Aer Lingus took home the award of Best POW WOW Stand.